9 incredible Blues Clubs guaranteed to make you feel "so bad"! The blues. It's that music about "feelin' bad" that makes you feel good - even if you feel bad. Follow? Anyway, legend has it that, in 1903, bandleader W.C. Handy was waiting at a train station in Tutwiler, MS, when he was introduced to "the blues" by a street guitarist. But the music had been evolving for a couple hundred years prior, as African-American slaves sang while toiling in the fields. The Mississippi Delta is considered the birthplace of the blues, but as African-Americans left the South for industrial cities, Chicago and Detroit became other key hubs. Blues music contributed heavily to the development of rock 'n roll; Elvis Presley's massive 1956 hit, "Hound Dog," is a remake of a Big Mama Thornton song done a few years earlier. In the '60s and '70s, British musicians gave this American art form another shot in the arm. The Rolling Stones did covers of Muddy Waters and Howlin' Wolf, Led Zeppelin put their distinct heavy spin on blues classics, and guitarist Eric Clapton - well, he's Clapton. That worldwide exposure is often credited for "saving" the blues and the livelihood of many veteran bluesmen like Buddy Guy and B.B. King. 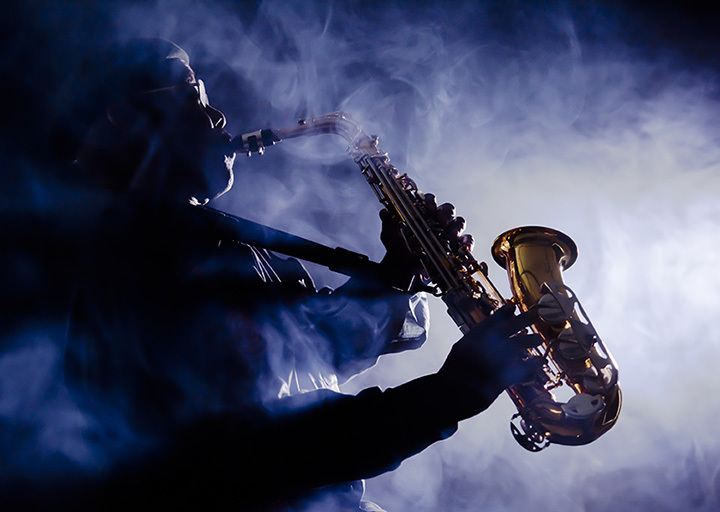 So if you're man/woman has left you, you lost your job and the dog has run off, here are some places to soothe your soul with rich, authentic blues music. Clarksdale is considered the most important town in the development of the blues, and this club gives you the complete experience. It's co-owned by Clarksdale native, actor Morgan Freeman. Plenty of big-name acts play here when passing through, but it regularly showcases authentic Mississippi blues from local musicians. How appropriate that this legendary blues club is located at a "cross roads." - and across from a cemetery! Unassuming, this is an old-school "juke joint" where everyone is made to feel welcome. True fans call Red's "the real deal," as players of all stripes show up to indulge their love of pure delta blues. Located down a dirt road, just a few miles outside of Clarksdale, this place is a must-visit destination for blues fans. The place has a ton of character (for starters, the ceiling is festooned with stuffed monkeys, sent by fans around the world) and it's only open on Thursday nights. Willie, the owner, welcomes you, and since it gets crowded and sweaty - fast - you're bound to make a few friends among fans of authentic blues, too. Tony, the owner, is an Italian-born blues drummer who loved the music so much that he opened this club in 1984. Mama Rosa moved from Italy to help him out with the food (which is awesome). But fans really love this place for the amazing blues music that's served up, split between traditional and modernist artists. Rock and Roll Hall of Famer Buddy Guy opened this place in 1989 - and since then, artists like Van Morrison and Bo Diddley have graced its stage. Buddy is an idol to many of rock's greatest (Keith Richards is among his worshippers)- and the collection of signed guitars over the bar (B.B. King, Eric Clapton, Stevie Ray Vaughn to name a few) is testament to his lasting influence on both blues and rock music. Locals know to bring their out-of-town friends here to enjoy blues artists from the area. It's a great venue, whether you're seriously into the music or know very little. The small tables make it a fun, intimate space, and you're pretty much guaranteed a great music experience. This venue is a popular hangout for musicians after their own gigs. So you never know who might show up for an informal jam session. You'll hear anything from a solo acoustic performance to a full-on electric band. The great in-house video system lets you see what's going on onstage, no matter where you're sitting. The best blues players - both local and those just passing through town - regularly perform here, seven nights a week. No surprise, considering its name is inspired by the famous Beale Street in Memphis. With Mardi Gras masks on the wall and an inviting outdoor patio, it's got a great vibe reminiscent of the deep South. Local cab drivers regularly recommend this tiny place to passengers in search of authentic Memphis blues. The music starts late (around 11 pm), but continues into the early morning hours, as various players trade off. Members of the Hi Rhythm Section, who played on Al Green's hits, frequently appear. A true Memphis gem. The plethora of blues memorabilia and photos initially grabs your eye - but it's the excellent music that keeps people returning to this tiny, soulful club. There's live music seven nights a week. Seating is limited, but there's plenty of standing room. Locals consider this the last authentic "juke joint" on the overly commercialized Beale Street.